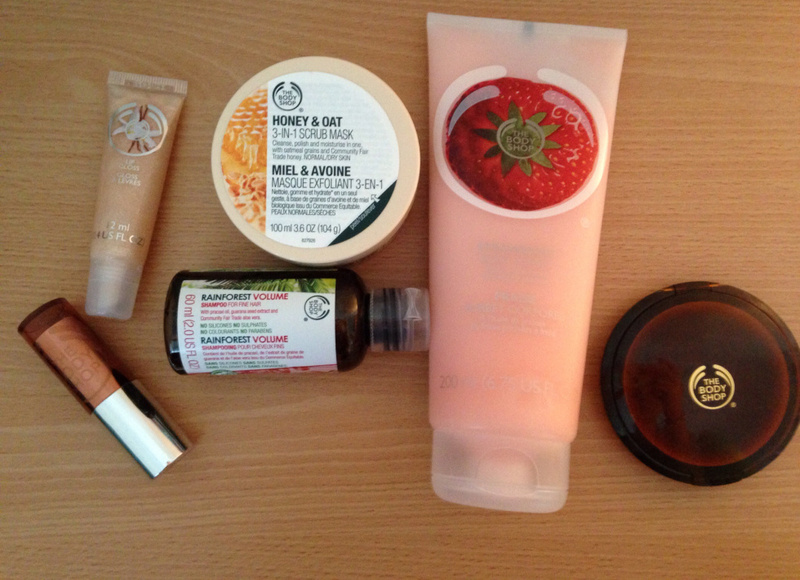 Body Shop had an amazing deal, when you spend £50 or over, you get £25 off your order. How could anyone resist that deal?! It would be rude not to take advantage of it... :) I had quite a hard time choosing what to buy but am very happy with what I got!! So these are my first impressions on my purchases, I will do a post on each product once I have been using them for a while. This looks really good like it will help my face and I cannot wait to use it. It looks a bit like porridge haha but it hasn't put me off. I used to have a vanilla lip gloss that I got from Peacocks and it was really good, I was so disappointed when it ran out and couldn't find it back in the shop! Happy to have another vanilla lip gloss, smells lush as well. I was a bit unsure whether to buy the bronzer, as I have never really had much luck with them before. What I like about the bronzing powder is that it comes in different shades, so you can choose based on your skin tone. I choose the lightest shade as I am quite pale and only wanted a hint of bronzer on my cheeks. I have been looking for a good volume and thickening shampoo for a while and have been quite disappointed with what I have found so far. Hopefully this product will do what it says on the bottle and by any means the scent is really nice. Excited about doing a full post on the shampoo once I have been using it for two weeks.